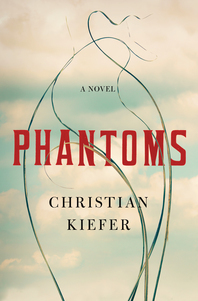 The following is from Christian Kiefer's novel Phantoms. John returns to the US from the Vietnam War and encounters conflict between his aunt Evelyn and her former neighbor Kimiko Takahashi, whose son Ray had fought in WWII and upon his return, found no home for a Japanese-American. Christian Kiefer is the author of The Animals and The Infinite Tides. He has a PhD in literature from UC Davis and directs the low-residency MFA at Ashland University. Ray Takahashi returned in August. By then we had put the whole thing behind us, or tried to, whatever concern or even guilt we might have felt replaced by that mixture of jubilation and despair brought on by the war’s end, for our boys were coming home and the war had changed them. Some held only absence where an arm or leg had once been; some were broken by experiences we could not see and never would. And of course others did not return at all, families receiving a Western Union telegram signed by a general of whom none of us had heard. Later would come the casket and the folded flag. But these were eddies of respectful quietude in a flow of celebration: parades and confetti and flags and bunting and a sense that we had done something honorable, that our boys had tested their mettle in Europe and the Pacific and had been rewarded with victory. We were proud of them. We were proud of ourselves. Frank Marston was the first to see Ray Takahashi that day—a soldier, small of stature, stepping down from the penultimate train car and into the bright eddying dust of the town square—and it was Marston who, much later, would comment on just how ordinary that train had been: the same as the train that had stopped alongside the fruit sheds the day before and the same as the train that would arrive the day after, its cars empty to receive the stacks of crated peaches and plums and pears that rose in compact towers from the dark interior of that long, bustling room. Indeed, as the locomotive’s roar descended into its low idling rattle, the workmen of that day were already slipping into their gloves in the air of diesel fumes and oil and the ever-present cloying scent of the fruit itself. Ray Takahashi’s beauty had always been tragic and heroic but upon his return that tragedy and heroism felt real in ways that before had been only imaginary. His hair, once swept back in a shining black wave, was shorn close now, and his thin, lithe body, always tight and muscled, had become, somehow, even harder than it might have after a season in the orchards, his skin as tan as ours, but his gaze somehow more distant, as if he was, even as he looked in our direction, gazing past us into some landscape we could not see and never would, not the boy who had gone away but a man now, a soldier who stared through the shimmering air into the darkness of the sheds from which, even as he struggled to pull shapes from the sunlit glare, came the floor lady’s high peal—“All right, you lazybones. Let’s get at ’em”—and he knew, he must have known, without having to see them, that the workers had begun the process of loading the cars. The dust around his feet. The scent upon the air. Frank Marston’s shape must have appeared a black specter stepping through from one world to the next. “Welcome home, soldier,” he said. And now Frank Marston pulled up short. For a time he could only stare goggle-eyed at the uniform before him, the recognition dawning on him slowly so that his dull eyes, shadowed now by the train car itself, began to spark even as the great engine coughed and clanked in its rumbling idle. “Well hell, it’s Tak’s boy,” he said at last. He paused and then added the name as it came to his mind: “Ray. Didn’t recognize you in that uniform,” already stepping forward, his mouth curling in an idiot’s broad grin, hand outstretched. Ray took it in his own and when they were done Marston stepped back and looked him up and down, nodding. “I think I read that they let some of you sign up,” he said. “Some of who?” This voice from the train car, one of the soldiers staring from the window at the two men below, eyes half closed as if only partially bothering to wake. “Sure, sure, Mr. Marston,” Ray said. He waved a hand at the window. The soldier there shrugged but did not return to his seat, instead continuing to peer down at the two men, his jaw working a stale lump of chewing gum all the while. “It’s good to be home,” he said simply. They stood together, the two men, for a beat and then another, Ray staring at Marston and the man at first returning his unwavering gaze and then dropping his eyes to the dust itself. “I’ll be off then,” Ray said. “You’re not—” Marston began, cutting off his own sentence and then starting again, “I mean—” and then cutting off that second attempt just as the floor lady called his name from somewhere inside the sheds: “Frank? Where’s Frank?” and Marston turned toward that sound, just for the briefest moment. When he turned back to Ray Takahashi it was to find the soldier walking without haste down the dusty street, his head slowly rotating from one side to the other as if taking in the scene before him: the dirt-and-gravel clearing that acted as the town’s main square, its surface flanked by the long low metal-roofed fruit sheds and, opposite them, the small collection of structures that made up the town, clean box-like homes and occasional older Victorians. Among them grew oaks and the gray twisted shapes of digger pines and, here and there, an otherwise out-of-place palm, planted in some lost time to denote a status long forgotten. As if the whole topography from the air: each ripple of the land distinct and clear and named and owned and perfect, a geography that knit us together in ways we did not even understand until the war was over. In the draw, the little ramshackle Japantown huddled in the shade of the cottonwoods, above which rose the slopes of the Tokutomis’ orchard upon the flanks of Chantry Hill. To the southwest the ridges ran in descending waves toward the Buddhist church at Penryn and the Methodist church at Loomis, towns no larger than Newcastle itself and yet focal because of the Sunday gatherings where they would dress in their finery and which they looked forward to, not because of the service but because it allowed them each a chance to see their Sunday friends, especially the children, sharing the curious experience of growing up in America and Japan simultaneously, this push and pull the tide of their lives. It was all still here, at least physically, seemingly unchanged even after everything that had happened. On the turning gravel road Ray would have appeared to be, at least at a distance, just another soldier trudging home, first down to the irrigation canal and then west to cut into the edge of the rising ridgeline, oaks casting their shadows eastward across the tops of the yellow grasses, the occasional truck passing along the dirt, some slowing to look him over, this olive-clad soldier with his duffel. Perhaps one stopped to offer him a ride simply because he was a soldier and the soldiers were coming home, but he would not have taken such a ride, would have nodded politely and demurred, would have told them that he wanted to feel the road under his feet, to test the quality of the air, to feel that he was no longer in some dream or fantasy but had once more returned to the land of his birth. How many times had he walked along the dirt road up the side of the ridge, and how many times had he come down that same road with Jimmy and sometimes with Helen too, in Mr. Wilson’s borrowed Ford, all the way down the hill to the confluence of the river, feeling in all those years that he was not different at all, that they were simply young people living their lives? But of had volunteered as a measure against everything that had come upon his father and his mother and his two sisters, as if in choosing he could somehow wash away every choice he had been course it was exactly this that had been proven a lie. First there had been Tule Lake and then, after he had enlisted, Mississippi for training and then Anzio and the grim terror of the war. He had volunteered as a measure against everything that had come upon his father and his mother and his two sisters, as if in choosing he could somehow wash away every choice he had been unable to make. Maybe the gravel road up the ridge should have been filled with mines and machine gun nests. If it had been, it would not have been any more surprising than its current state and condition of being exactly identical to his memory. So maybe when he came into the dooryard and saw, at long last, the faces of strangers, white faces, in the dusty windows of the only home he had ever known, maybe then it finally began to feel real. There stood the home in which he had grown up, a small rectangular box, white-painted—Ray and his father and Jimmy Wilson had made a short day of that work while Ray’s sisters and mother supplied them with lemonade—with a grass yard and the shade tree upon which the tire swing still hung. Behind it he could see the first row of the five acres of plum trees his father had planted when Ray had been a boy of six or seven, their shapes now gnarled and battered with age. His father had intended that they be removed and replanted, work they had begun together in 1941, the year before Tule Lake. They had pulled the trees at the back edge of the property and replanted them with saplings. That the rest of the work had been neglected, that the faces of strangers had appeared and now reappeared in the windows, these facts only increased the sense of outrage building in his chest moment by moment until he thought the accumulation would burst clean of him altogether. But like the soldiers in the train car his eyes told nothing, not the stare of some caricatured Asian, stoic and enduring in the face of loss and hardship—gaman, his father might have called it—but the eyes of a soldier, a soldier who had survived Anzio and the horror of the Vosges Mountains and Bruyères and the Gothic Line and all the rest, survived when so many others had bled out into European soil that held no meaning for any of them whatsoever. He already knew what he would find there, that they were simply tenants upon land owned not by his father or by himself but by Homer Wilson, a plot that the Wilsons had rented them as part of a shared agreement, some percentage of the harvest’s yield. So they did not own it but it was still the Takahashi family home. None of us would have denied it had we been asked and yet Tak also would have accepted—did accept—the right of Homer Wilson to rent it to someone else, a right as unalienable, as American, as our right to food, to water, to air. Tak would have accepted it but Ray would not, did not. A young woman had come around from the back of the little house and stood now partially shielded by the dusty and rust-spotted vehicle parked in the dooryard. 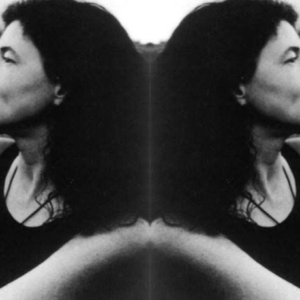 She was a few years older than Ray, her hair the color of old straw and her face so thin as to appear drawn. He looked at her, kept looking at her even when she turned her eyes away. “How long you been living here?” he said. “I’m just looking,” he said. And he was, his eyes following the shape of her as one might follow the shape of a candle flame in a dark room, his gaze not unlike that which had met Frank Marston in the shadow of the fruit shed, unwavering and focused, his attention so complete as to be utterly unnerving, threatening only in the fact that he would not look away. “He’s just in back,” she said again before breaking with a quick, jerking pace, away from him. Then the bang of the back door, the screen. How strange that some woman he did not know had made that sound, not his mother nor his sisters nor even his father. Not Jimmy or Helen either. Through the window the two young faces he had seen when he first approached the house peered out at him with frank curiosity until the curtains were pulled roughly into position. That this would be his homecoming could not have been a surprise. Although we did not know the specifics we knew at least that he would have corresponded with his father during the war years and that, if nothing else, Tak would have told his son that the family would not be found in the orchard beside the Wilsons’ ranch but instead in Oakland, where they were unceremoniously crammed into the apartment of a distant relative Ray had never met. Perhaps this had been his imagined destination when he had been in Europe, the remains of his unit waiting in Nice under the full hot Mediterranean sun. But something changed in the days of waiting in France and during the long sultry summer that followed after they had at last been loaded aboard the Liberty ship that took him first to Fort Dix and then, via lucky happenstance, to an empty seat aboard a military transport crossing the continent from east to west in leaps and fits. After changing planes and cargo trucks and planes again, he found himself in California once more, first at Camp Pendleton and then, again via lucky happenstance, on a ship bound for Fort Mason in San Francisco, arriving there invAugust to the news that a bomb of epic destructive power had been loosed upon the Japanese city of Hiroshima. Had we considered him at all, we might have expected him to go immediately to his family, but after all those days of travel from France to New York to San Diego to San Francisco, all those days of thinking, of pondering what his father had written him, he did exactly the opposite of what any of us would have expected, exactly the opposite even of what his father might have expected, not traveling immediately to Oakland to meet his family or even to Newcastle but instead remaining in San Francisco for a full day and then another, not at the army base either but in a flophouse near the docks where prostitutes and foreign sailors were known to comingle openly and without fear of arrest, all the while close enough to his father and mother and sisters that a leisurely walk of three or four hours might well have brought him to their new address. Even if they had no phone he might have reached a neighbor or a corner store and relayed a message, but no call came and so the parents did not even know that their son had returned home, or at least had returned to the country that had been his home, even though now there was no actual physical home to speak of, a fact made clear by the note that had arrived in his father’s hand and inclear, unambiguous English: We are no longer welcome at our old home in Newcastle. We have no friends there now. Find us at Cousin Ida’s. The address followed but it may as well have been written in German or Italian or even in Japanese, a language he could hardly speak and could not read at all. We are no longer welcome. We have no friends there now. Impossible. And yet there was, even in his route, a sense of caution. Perhaps seeing, with his own eyes, that straw-haired woman and her children had made his father’s letter real to him, for before the removal, before the summer of 1942, Ray would have simply walked down the rows along a path worn not only by him and his father and mother and his two sisters but by Mr. Wilson and Helen and Jimmy too: down a single row of peach trees in a straight line, veering off to the left toward the Wilsons’ back door only after it reached the end of the row. But the spring of 1942 had come and gone and 1943 and 1944 too and now it was August and the war was over—the war in Europe and now, with the second atomic bomb, the war against Japan—and so although he could still see it in the grass between the trees, in actuality the path might as well have not been there at all. So he did not take that route but turned on his heel and walked back through the green leaves and the heat to the road. He could see the whole of the country to the north from that point, the hills that owed up the side of Auburn Ravine, their shapes covered, acre after acre, with the ordered rows of orchard trees and through which he could make out the snug pale homes of the farmers themselves. He knew they would still be picking the late peaches and plums and the first of the pears but he could make out none of that activity from the road. The whole spread of the landscape to the north seemed something he might have dreamed—and there it was again, the idea that he was somehow asleep and dreaming all this even though it was right here, present and alive. The breeze blew up the ridge from the south, up Red Ravine and across the orchards that lined the county road to the sheds at Penryn and Loomis and the quarries of Rocklin and on to the great railyards at Roseville, a place he had seen only once, that very day when his train from San Francisco had slowed and paused there as the tracks were switched. Even now the train rattled on up the mountain: Dutch Flat and Donner Summit and the great mythic blue of Tahoe before plunging into the high desert beyond. He had been at Bruyères near a year ago and now he was here, home again, although of course already it seemed less home than it ever had been. How alone he must have looked there. The Wilsons’ drive appeared just as everything else did, so exactly matching his memory that it seemed utterly false, the dark leaves that lined the road perfectly still. The back of his shirt had soaked through an hour ago and remained wet and hot against his flesh, the duffel burden enough that he slung it to the side of the road against the low trunk of a peach tree long since harvested clean. The first of the pickers appeared when the bare peach trees changed to pears heavy with late summer fruit, and he glanced down the rows to see ladders disappearing into the upper branches. He did not stand to watch, instead quickening his pace so that he was nearly at march step. He could sense them watching him now and although he could not identify any clear reason for his own sense of disquiet, he did not return their gaze, only continuing to walk as their chatter diminished, their eyes upon him, this uniformed soldier. And then his name, called from behind in a voice cheerful and bright, and he turned to that sound even though it felt as if doing so might augur into place a future he did not want to accept. “In Japan?” The words came quickly but then the boy seemed embarrassed, for he looked away quickly, his sharp shoulders seeming to jump up and down for a moment, a kind of oblique apology. The boy laughed at this response, relieved. In the group behind the boy Ray could see a few others smiling at his words. “I will,” the boy said, still smiling. “Ray’s back,” Bish called into the trees. The pickers—young men and women, most of whom Ray recognized in one way or another from the high school—had already begun scrambling back into the trees or to the truck to gently spill their loads into the pears already waiting there. Bish was the last to flee, finally waving silently and disappearing just as the foreman—for of course it was the foreman—appeared from between the rows. “Heading up to the house,” Ray told him. Ray did not wait for a response but turned and continued on his way. So quiet were the orchard rows. So red with summer heat. It came up from the earth. It ooded through them all. Then he turned to the ground again where Bob Campo writhed in the dirt, clutching his stomach and breathing sharply against the dust. “It’s Sergeant Takahashi,” he said. Or maybe he said nothing. After all, this story was told to us by the teens on their ladders and would they not want a kind of closing statement? If we needed any proof of what he had done overseas it was there upon his uniform, the story somehow held in the shape of those three chevrons stacked one upon the other and pointing upwards on each sleeve. Sergeant Takahashi was home. When he reached the Wilsons’ at last it was, like everything, just as his memory had preserved it and so he peopled it with the Wilsons of his memory, expecting them to appear, to greet him, smiling on his return from the war, Mr. and Mrs. Wilson and Jimmy and Helen. But when he approached that Victorian upon its hill—white and clean and glowing amidst the green blades of the orchard trees—it was quiet and still. The curtains were open but the direction of the sun had rendered them opaque, so that when he stepped onto the porch the windows were but incandent plates of blinding light. He might have circled to the side yard to peer up at Helen’s window or, on the opposite side, to Jimmy’s, but instead he went to the front door and knocked. Then waited. Then he knocked again. He had thought, imagined, that it would be Jimmy or Mr. Wilson or even Helen who came to the door. He had not anticipated Mrs. Wilson—Evelyn was her name but Ray had only ever called her Mrs. Wilson—and so he was brought up short. “Ray Takahashi,” she said quietly, still staring at him, her eyes flashing with an emotion he still did not recognize. And so what he determined was that somehow, just as he could not identify the expression on her face, he too must have remained unrecognized or unrecognizable to her, his short hair and uniform making him into a foreigner. “The Nazis?” she said. This a clear question. When she spoke at last her voice was one that Ray had never heard before, not from her or anyone: a low breathy sound as if she were just on the edge of running out of air. “You get away from me,” she hissed. He stood silent in the face of it, mouth open, hat still clenched in one hand, thumbs at the seams of his trousers. “Mrs. Wilson?” He stepped backward as she advanced. “Just get away. Get away.” And she was coming for him now, her hands out, open-palmed but swinging so that he had to raise his own hands to keep her from battering his face, all the while retreating down the final step and into the grass again. She did not pursue him onto the lawn but remained above him, breathing hard and fast, the image of her in the hot slanting sunlight amidst the dappled shade like some creature of myth, the avenging mother, the avenging wife, Onryō or Ame-onna or something equally terrible, and yet what did she have to avenge? Did she not recognize him? Could she not see that it was Ray, Ray who had spent nearly every day of his life in her presence, whom she had fed at her own table as many times as his own mother had fed Jimmy and Helen? And yet now there was this moment, this moment of confusion and, yes, of terror. But already she was gone, her small, thin frame rotating back to the house and swallowed by its cool darkness, the door banging shut behind her and then all the world, the grass, the sun, the orchard suspended between, fell back into silence. The soldier stood for a long while there in the yard, hoping and perhaps even expecting the door to open again, for Helen to appear or for Jimmy, his friend of all the years before, or even for Homer Wilson himself, friendly patriarch, expecting it all to be some kind of misunderstanding. But the door remained closed, the house silent, and at last he turned upon the grass and headed south again, across the lawn and into the orchard so that he could see the lit stripe of the road through the shadows of trees so heavy with plums that he might have simply reached up and plucked one down to his waiting mouth. Maybe he did just that. Or maybe he only walked on, hungry and alone and already pining for a life that he knew he could never again claim. Excerpted from Phantoms by Christian Kiefer. Copyright © 2019 by Christian Kiefer. Used with permission of the publisher, Liveright Publishing Corporation, a division of W.W. Norton & Company, Inc. All rights reserved.